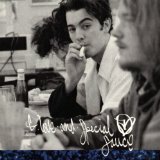 G. Love & Special Sauce is ranked as the best album by G. Love & Special Sauce. Related links: top tracks by G. Love & Special Saucetop tracks of the 1990s, top tracks of 1994. Showing latest 5 ratings for this album. | Show all 28 ratings for this album.